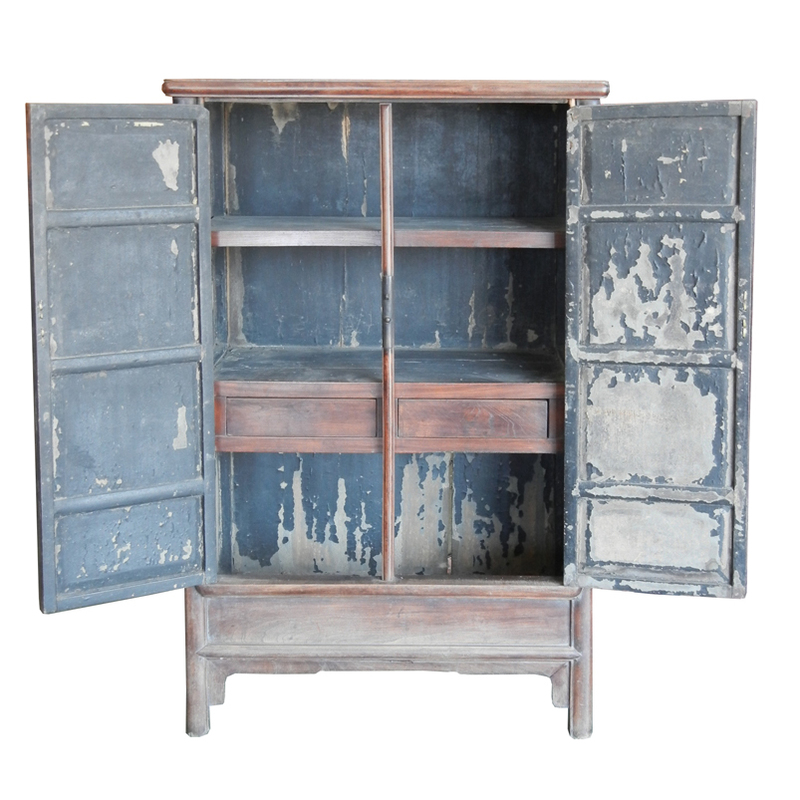 17-18th century Ming style scholar's cabinet made of Ju wood with old fittings and original lacquer inside. One repair on one of the door posts. 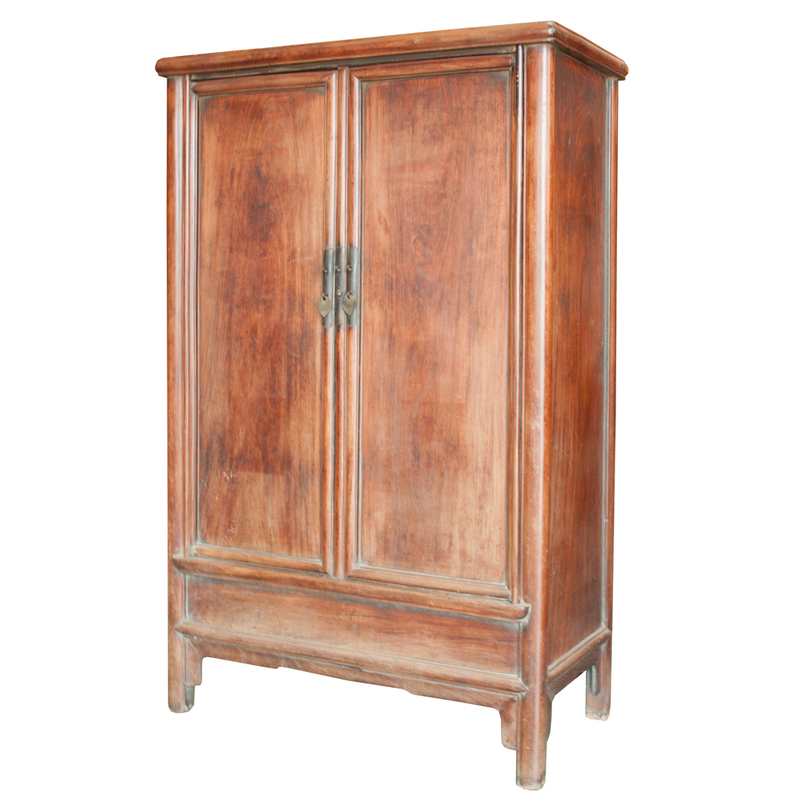 Otherwise, it is in fine original unfinished condition with beautiful old patina from the Ju wood. Compared to other types of softwood, Ju wood is a denser wood that adjusts better to the different climates and ages to beautiful patina. This piece with a classical design is one pick out of many!